For my birthday last year (November 28th, in case you missed it), I invited you to join me in providing a well in India. 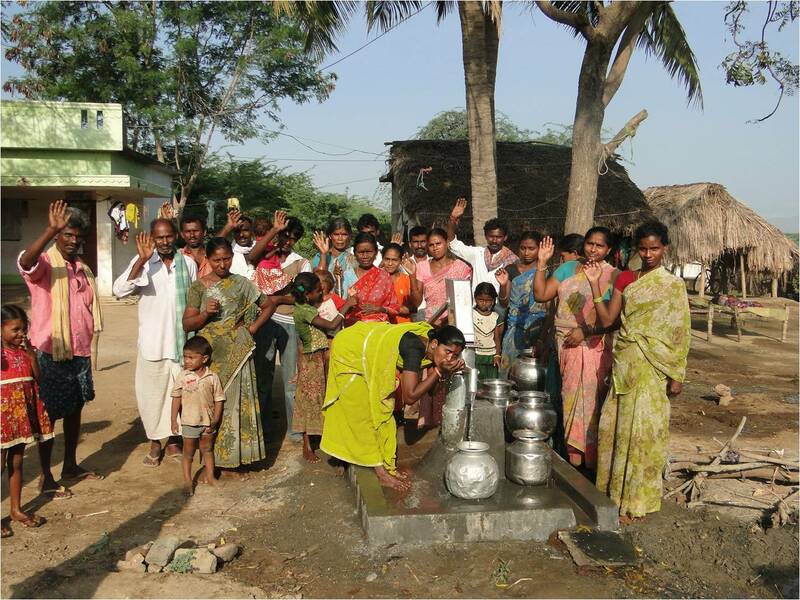 Today, a village of over 800 people now has their own well providing fresh drinking water. The report below tells the story of this village and their people. Thank you for joining me in raising over $2,500 to provide fresh water and Living Water for these people. The people of the village depend on different sources for drinking water. Often it is dirty and contaminated. The village was badly in need of water well as they were struggling to find good and safe drinking water. Samanthapudi Darsi is primarily a tribal village and the colony consists of outcasts and untouchables. They depend on seasonal work and they go in search of work in agricultural fields and do menial jobs to support their family. Putta Somaiah and Padma, husband and wife, were in total debt and were on the verge of committing suicide out of frustration. They were led to the prayer meeting by the believers; they joined in prayer and worship, and heard the Gospel of Christ being preached. The village pastor and Christian community prayed over this couple, and they felt peace and happiness and were determined to live. On the suggestion of the pastor, they sold a piece of land belonging to them. By God’s grace that piece of land got a good bargain and got a good amount of money. With that, they were able to pay off their debts and were able to buy another 3 pieces of land with the remaining money for cultivation. The Lord brought peace in this family and a purpose for their lives. There is a pastor in this village taking care of the community. The community is very responsive to the message of Christ. Many more souls can be won for Christ by providing water wells for drinking. As part of the well work, the people were taught how to be neat and practice good health hygiene methods in their daily life concerning water and sanitation. Thank you for partnering with Water of Life to bring clean water to this village! 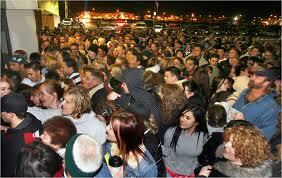 Black Friday starts at 10 pm on Thanksgiving Day at Wal-mart. What better reason to get away from the family than by buying their Christmas gifts. But, let me ask you a question: what did you give and get for Christmas last year? Are your kids still playing with those toys? Are the clothes still worn? How much is in your garage or attic? We live in a world of excess. I know, you need to do your part to stimulate the economy. And, don’t get me wrong. You and I can express the gift of Christmas through gifts. I’m not anti-gift. I am pro-gift. I will send a list upon request. But, so much of Christmas really has nothing to do with Christ. One of the biggest problems of this Christmas 2011 is that it falls on Sunday. Many people don’t want to go to church on Christmas even though Christ is the reason for the “Christ Mass” and the reason we even go to church in the first place. Family traditions have overtaken a significant Christian holiday. (I get a double whammy – Easter falls on our wedding anniversary in 2012). Will we go to Hell if we splurge on Black Friday or stay home and eat brunch on Christmas Sunday? Absolutely not. In fact, if we shopped every day and never went to church, we could still escape Hell. Salvation doesn’t rely on our works (Ephesians 2:8-9). But, would you agree that Christmas has become excessive? And, for most of us, would you acknowledge that Christmas is not your birthday? What are you giving to Jesus on His birthday? The Magi gave Jesus gold, frankincense and myrrh. No rattles. No Baby Einstein DVDs (for the record: Einstein didn’t have any DVDs. Jus’ sayin’). Gold was a gift for royalty. Jesus is the King of kings and Lord of lords. Frankincense was burned as an offering to God. It expressed His divinity even as a newborn baby. Myrrh was a burial spice. This represented the fulfillment of His mission on this earth. The heart of Christmas centers on God’s love for us. “God so loved the world that He gave…” (John 3:16). Jesus came to serve and to offer His life as a ransom for ours (Matthew 20:28). Mary and Joseph didn’t exchange gifts with the shepherds. Jesus was their gift. Jesus’ gifts from the Magi represent His identity, His offering, and His sacrifice. Jesus gave His all to have a birthday. What are we giving Jesus for His birthday? You don’t need to scrap everyone’s Christmas gifts and give only to Jesus. But, if Jesus wrote a letter to Santa (that’s weird), what would He wish for? 1. Set a budget for your Christmas spending. Don’t presumptuously spend beyond your means because of the irresistibly deep discounts. 4. Take time to reflect on the meaning of Christmas on December 25. Whether you venture out to a Christmas service or read the Christmas story with your family, take a few minutes on Christmas to reflect on God’s love for you in sending His Son. Just $10 per person provides 20 years of fresh drinking water in a village of “untouchables” in India. Donations of all sizes are accepted from donors of all sizes. This little girl’s mom told me last night that her daughter had sold two bicycles at a yard sale for $65. She asked how much she should give to God. Her mom explained that a tithe would be 10% or $6.50. The girl replied, “I don’t think that’s right. I’ll give $60 and keep $5. 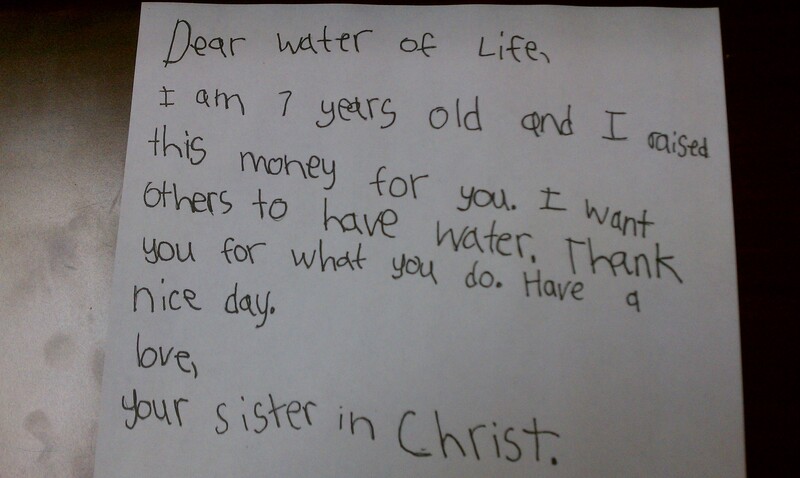 That seems right to me.” Even 7-year-olds can reverse tithe to save lives!